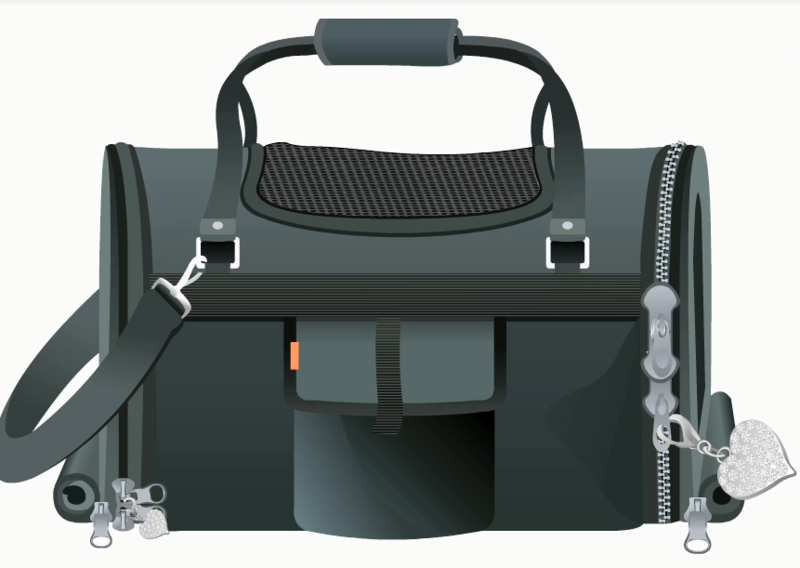 Keep your pet carrier zipped tight and secure while traveling with our Designer Zipper Tight Pet Carrier Safety Locks, Pets are unable to slide zippers open from inside the carrier. Creates an escape Proof Lock, yet quick an easy access for Pet Parent. Perfect for those tricky little cats who have learned to use their paws like hands. 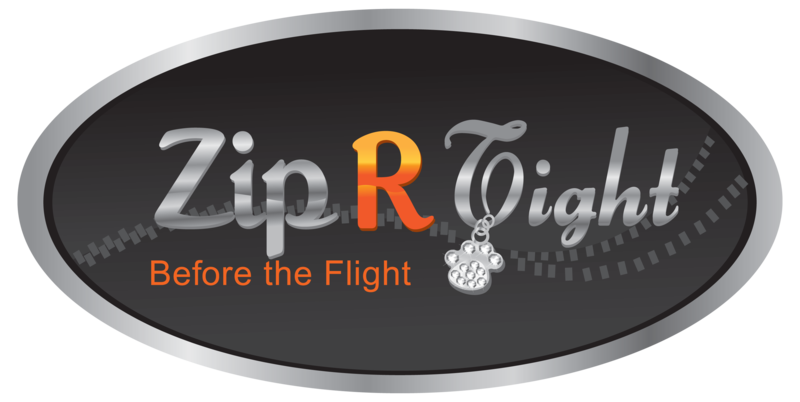 Pet owners find they can relax while traveling and not feel the need to keep a constant eye on your pet to insure the zipper stays closed. 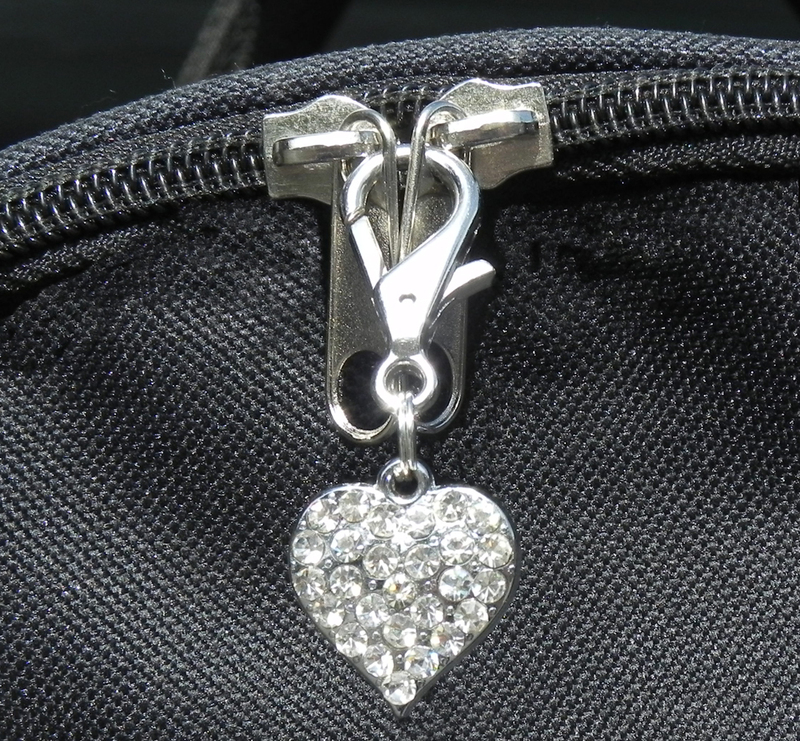 Also great to hang on keys chains, purses or just about anywhere you want add a little bling. Each Clasp + Charm Measures about 2" x 3/4"
Comes with free standard shipping. Thread through the built in zipper padlock loops. Choose from, Poodle Dog, Sassy Cat, Paw Print, Love Heart or Dog Bone. We use these handy locks on our Show Cage doors as well as our soft pet carriers. They are well made and the look is a PLUS!!! We have the cats and now we have the hearts! They are great to use and also a Fabulous gift for someone you love and want to share them with! Great product that we will be getting more of and sharing with others!